The mornings are pleasant in UAE. Cold and windy, the cities give a comfy beginning each day. The buses arrive, so does the sedans. And so begins the lessons for the day. It’s a delight to watch them working out, although things get pretty humorless at times while training. Stretching and firing up those tender muscles with one set at a time. The physical training time is the favorite period for our children here. Can’t wait to see what these fine intellectuals are going to do for this world. They say, if you watch the child’s life closely enough, you can bet if he’s going to become a brain or not. Some kids are gifted for learning, and some are trained and brought up to the league. Its human process to learn and develop their senses for good and bad, and it starts from the early ages of life. 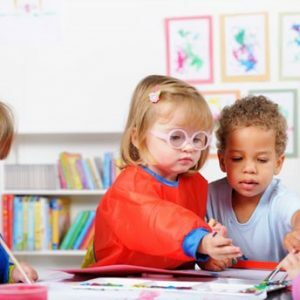 A well equipped nursery In Sharjah is the ideal place in UAE where your child gets to cultivate his knowledge and the ability to make choices in life. You may find it hard to believe but children nowadays are showing to be more socially developed and active than the adult population in UAE. 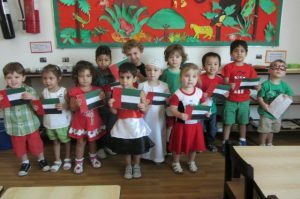 You may find it hard to believe but children nowadays are showing to be more socially developed and active than the adult population in UAE. 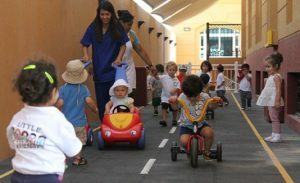 Top nursery schools in Sharjah encourage outdoors and social activities for children making them learn and be aware of the social environment around them and make them understand their part in it. Learning languages becomes exciting for kids when you teach them to effectively communicate in them. It’s not something easy, but eventually that interest towards the language kick in inside the child and gets attracted more and more towards it. It’s not an easy responsibility running a Nursery in Ajman or Sharjah. To take care of each child and keep him happy all day long. Getting him to study and learn is an entirely other matter by itself. Sure no one could do it like a mother does, but by being the most popular nursery in Sharjah, we at bluebells provide quality education and a foundational class of life for your child.